Rubber Band Making Machine is a good idea for home based small business. Rubber Band is very useful thing in our everyday life and it seems that its demand will remain unchanged in future also. Here the jobs is Rubber Band cutting and Rubber Band making. 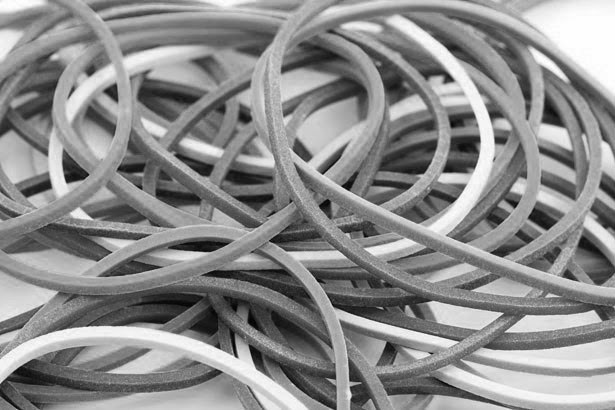 Rubber Band are generally used to bind various things, packets etc. The demand of Rubber Band is found at home, offices, shops-almost everywhere. You can make Rubber Bands with the Rubber Band Making Machine and after packing it you may sell it in the market or supply orders. You can collect used or rejected tubes of bicycles and with the Rubber Band Making Machine you can cut the tube to make Rubber Bands. For the job of making Rubber Bands you don’t need any work experience and it does not need a big place. Beside you, the women of your family also can do this job Rubber Band Making Machine. The Rubber Band Making Machine is available in both conditions-hand operated and motor operated (automatic). You can find many companies manufacturing a wide range of Rubber Band Making Machine. Their machine matches high technology electronic control.